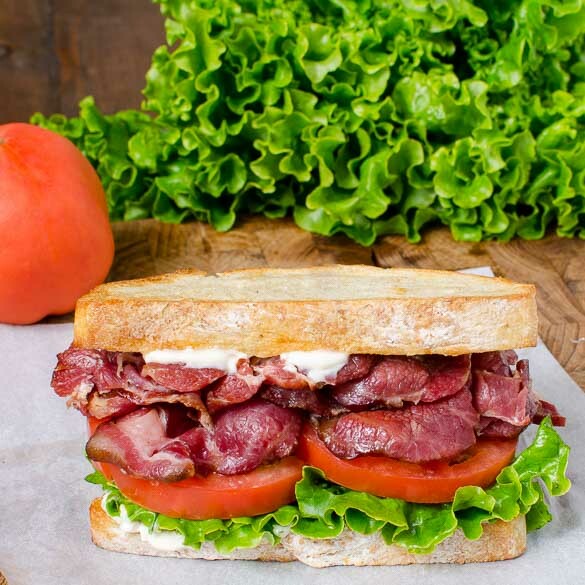 Here's a basic, no-frills BLT sandwich that couldn't be easier to make — the ingredients are right in the name! BLTs (or bacon, lettuce, and tomato sandwiches) are simple, delicious and make a great breakfast, brunch, or lunch dish. Because these sandwiches are so simple, they're also incredibly easy to modify into hundreds of scrumptious variations. This is a 2 part recipe. 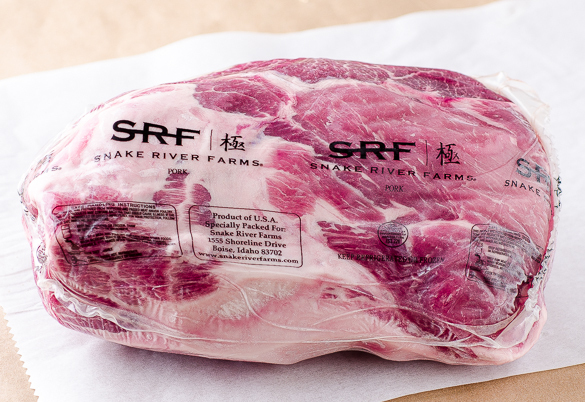 The first part is brining the pork collar. 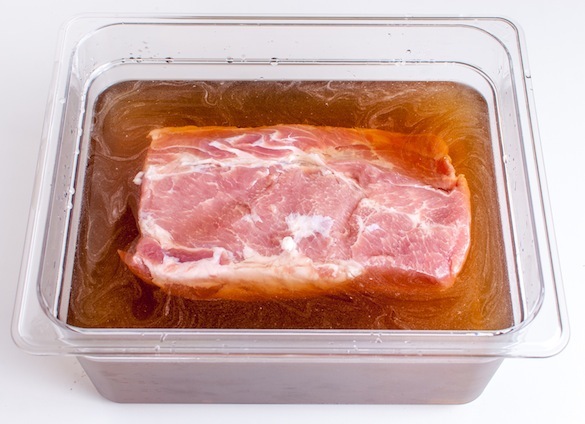 This is done to keep the pork moist and tender. The second part is the BLT Sandwich. 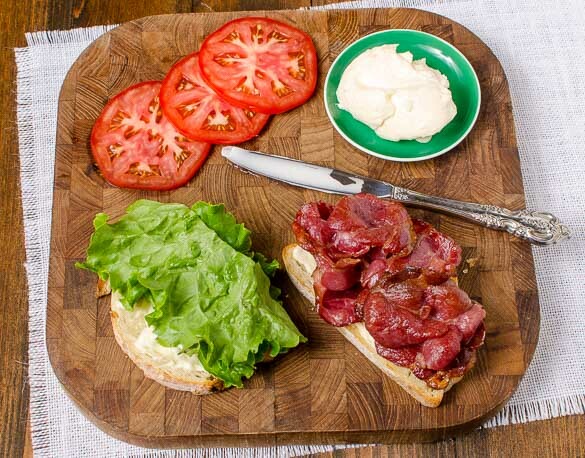 If you're ready to fire up your smoker and make mouthwatering BLTs, check out this recipe. 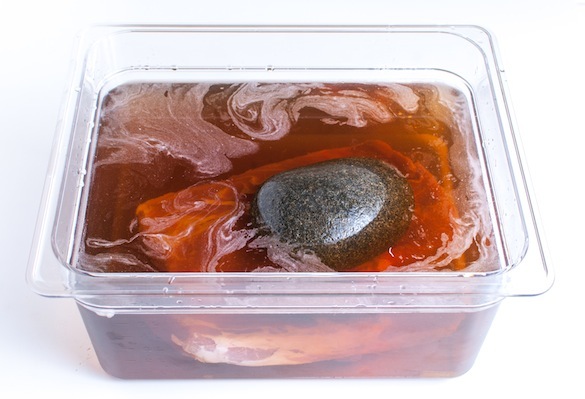 To remove excess salt, soak in cold water and refrigerate for 2 hours. Pat dry and place back in the refrigerator uncovered on a rack for one day to form a nice pellicle. Heat your BBQ Pit up to 200F w/ charcoal & a few wood chunks. Smoke indirect until an internal temperature of 140-145F. 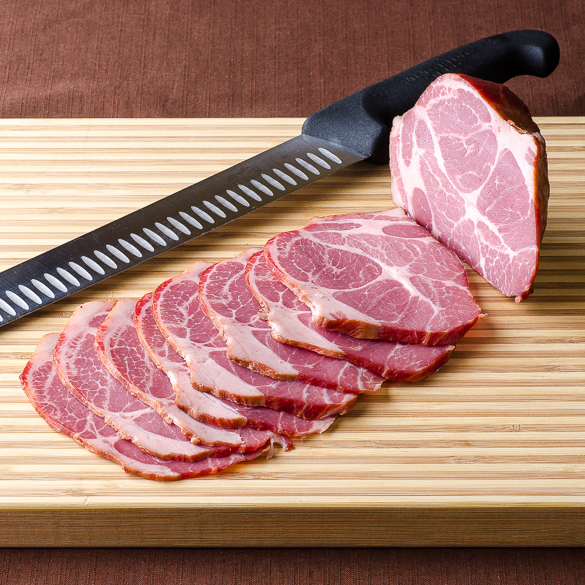 Let cool down until safe to wrap up to return to the refrigerator. 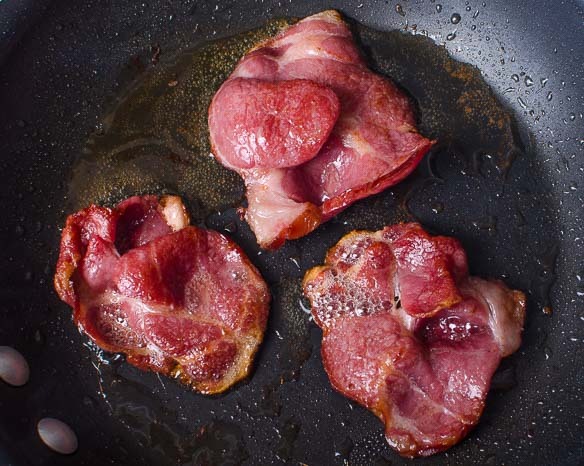 Chill the bacon in the refrigerator overnight. Toast your bread if you like. 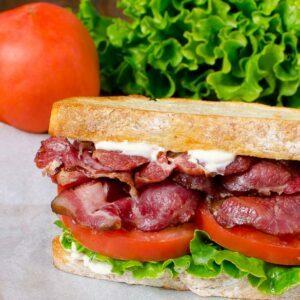 Assemble your BLT with the bacon, lettuce leaves, tomato slices, bread, and mayonnaise (optional if you don't care for mayonnaise—substitute dressing to your liking).